Absolutely beautiful new Koala handmade rattle toy. 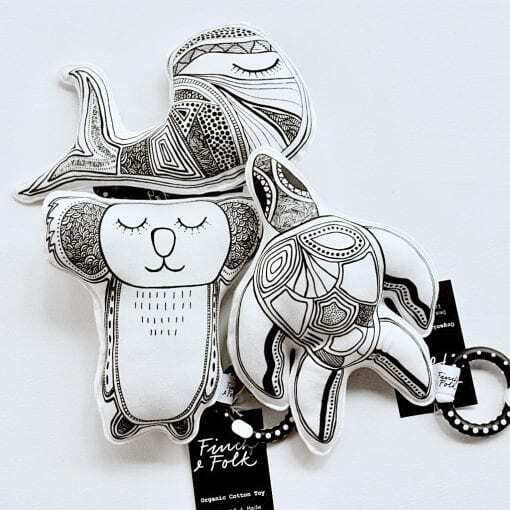 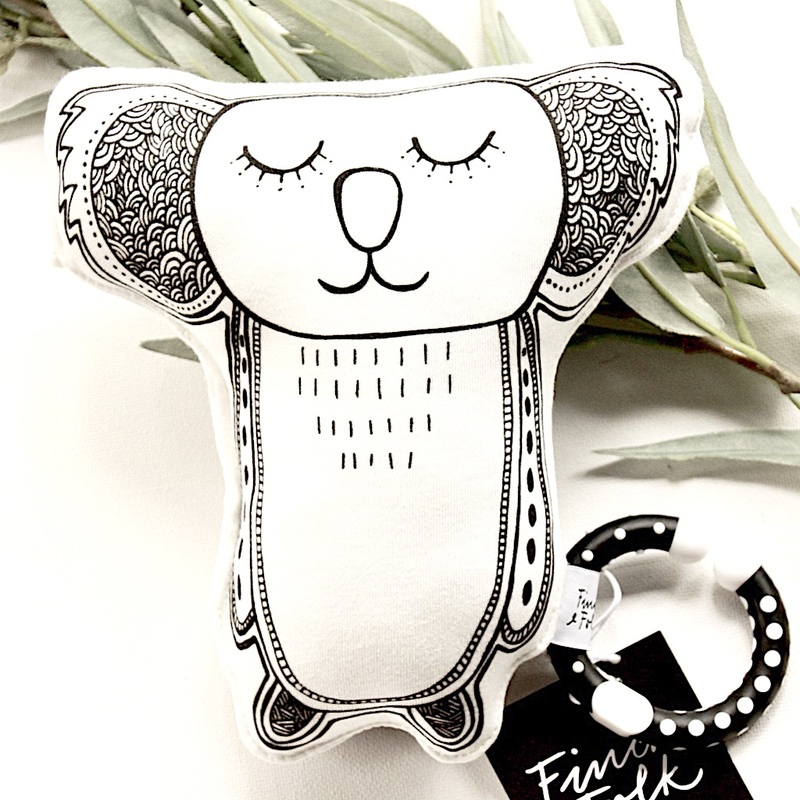 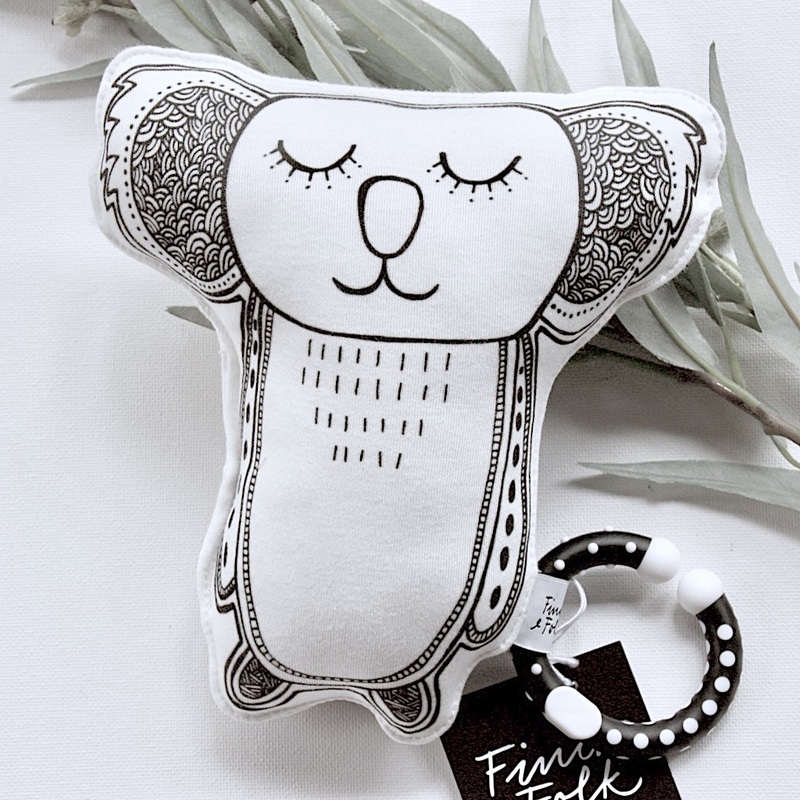 Featuring the original hand drawn artwork by Lara Went from Yukul Art this Koala is soft and beautifully made in Australia. 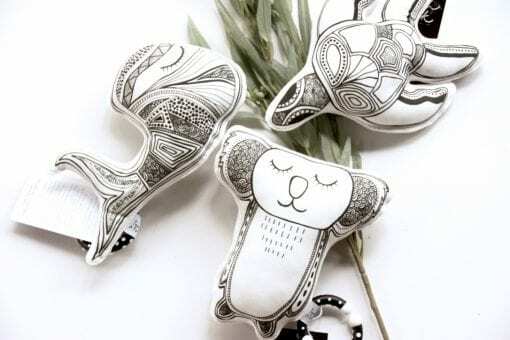 Featuring modern indigenous design eco printed on organic cotton knit it feels lovely and rattles if shaken. Includes a free link to use for attaching to pram etc. 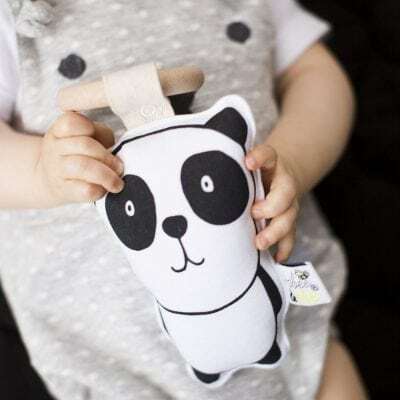 Filled with Polyester filling which is machine washable. If you would like pure cotton filling please note it is $5AUD more and a can be added on below – the cotton filling is hand wash only and NOT machine washable. 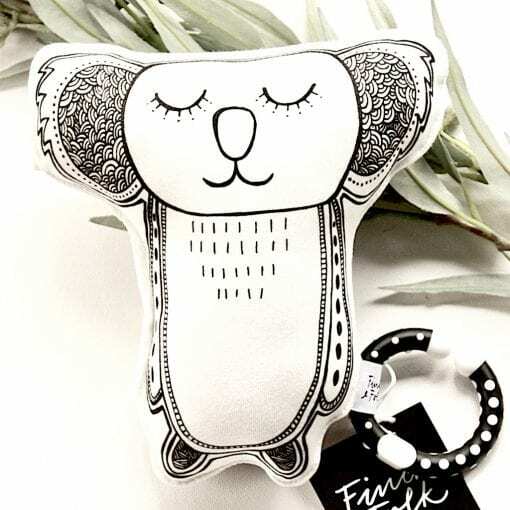 Cotton filling toys are made to order – please allow 1-2 weeks. 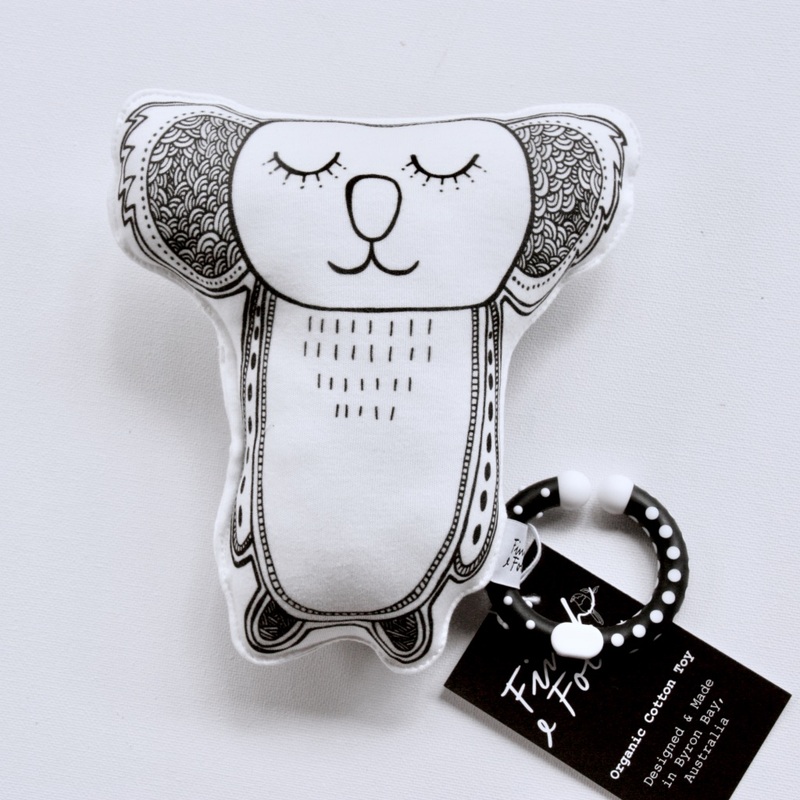 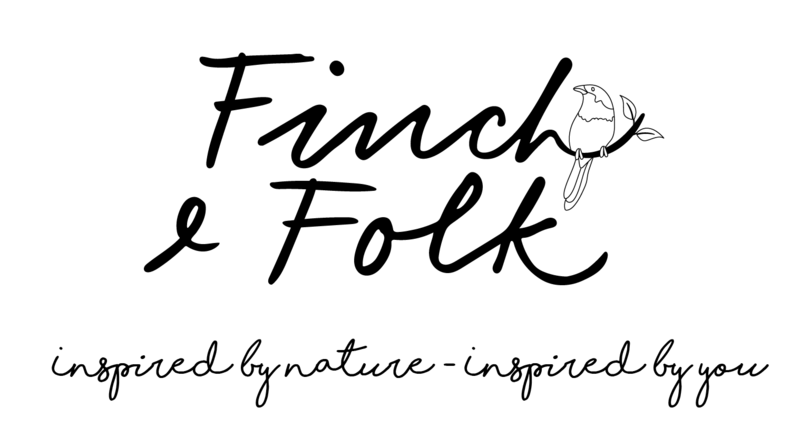 Toy will be made with organic cotton filling – this is NOT machine washable.